If you are considering having your roof cleaned and possibly coated as well, we at Cleaning Doctor are the professional roof-cleaning contractors to carry out the work. 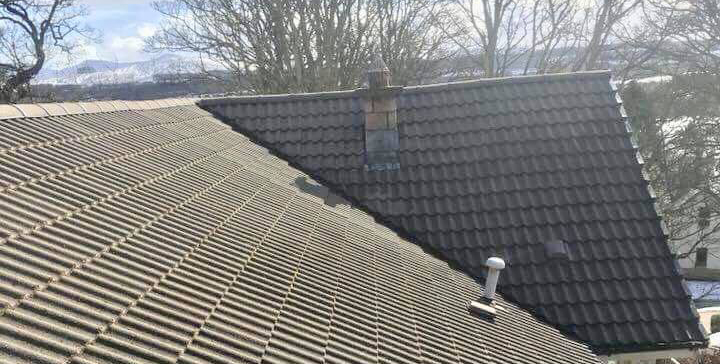 Prior to carrying out any roof cleaning, we will provide a comprehensive roof survey followed by a detailed quote advising you of the best course of action. All due care is taken to protect other areas around your property, including any adjoining buildings. These areas will be protected to avoid any dirt from the roof cleaning getting onto other parts of your property. Pre-treatments for moss removal will also be carried out at this stage prior to the roof being pressure washed. 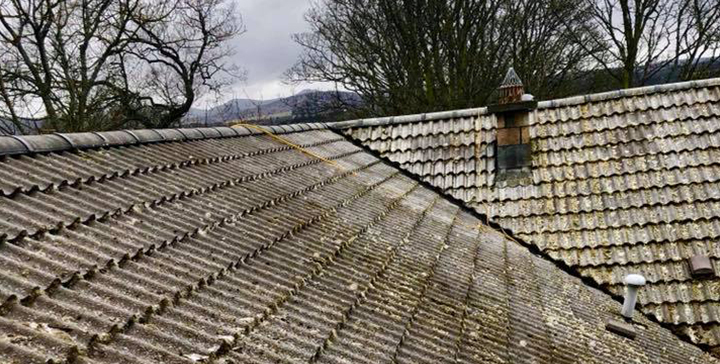 Once the roof has been pressure cleaned and left to dry off, roof repairs can be carried out, such as replacement of broken roof tiles and re-bedding of loose mortar. The last stage is to apply a protective roof coating or clear roof sealer to the roof using an airless sprayer or brush. At Cleaning Doctor, our protocols of washing are designed to immaculately clean exterior surfaces in a safe and effective way without using high pressure. In the industry, it’s referred to as a soft-washing process. Our BioWash Roof Cleaning technology is a safe cleaning process with NO risk of damage to your surfaces; that’s our guarantee. To achieve safe and effective cleaning results on surfaces like roofs, K-rend cladding, fences, patios, driveways and many other surfaces, a pre-treatment of Bio-Wash cleaner or Moss Clear Pro (which are specialised industry certified cleaning solutions) is firstly applied to break down years of grime i.e. algae, lichens, moss and then our professionally designed cleaning tools rinse the surfaces without the use of high pressure. This is referred to as The Cleaning Doctor Bio-Wash Soft Washing Cleaning Programme. Bio-Wash Cleaning Technology Is Safe, Effective and Affordable. If you are looking for a reputable and reliable roof cleaning company just call the number below or send your request using our online enquiry form.